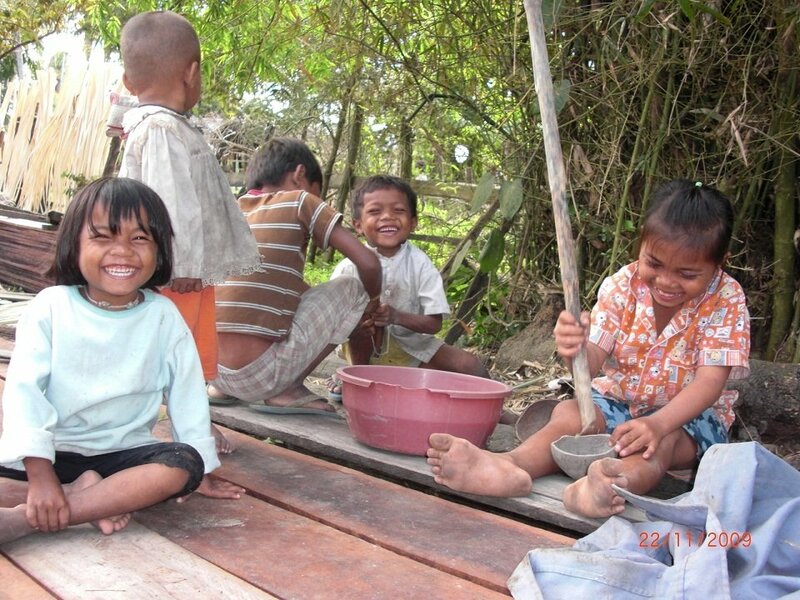 325 families in rural Cambodia were made self reliant thanks to you ! In the last two months, CRDT has received from the Global Giving donors the amount of 1,115 USD. 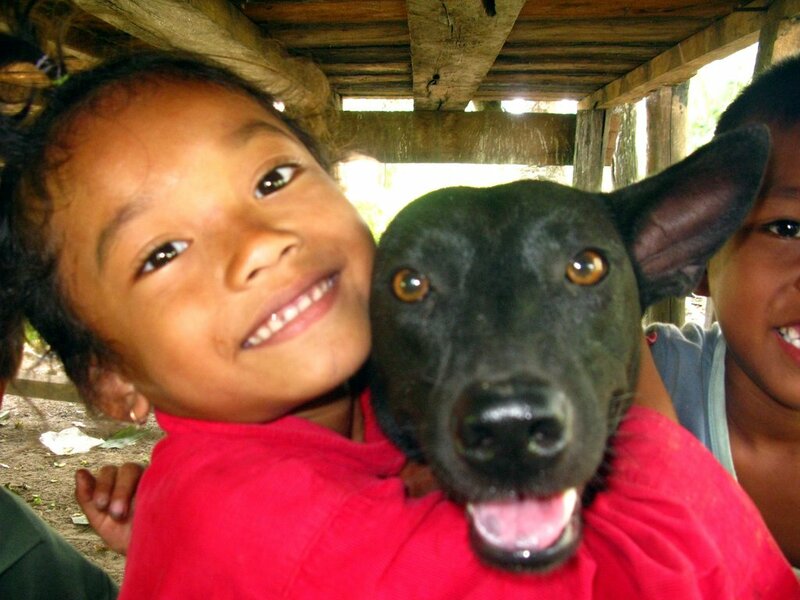 These donations make the target funding of 10,760 USD reach its threshold. 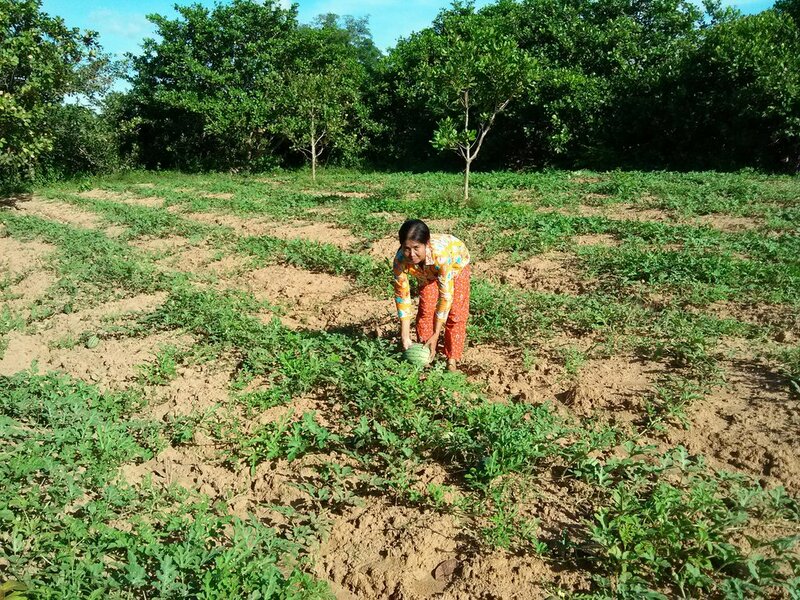 However, even before receiving all donations, we implemented the project continuously by supporting 325 families in Damrei Phong commune to be self-reliant through the formation of 21 livelihood CBOs. 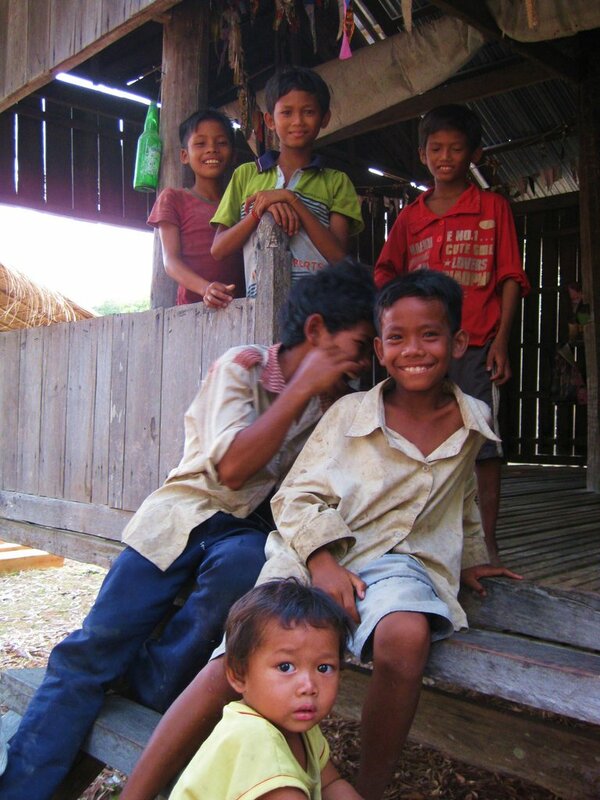 This report aims at providing the information on the achievements of the project as well as its future plan before we move to fundraise for another project in Steung Treng province, Cambodia. 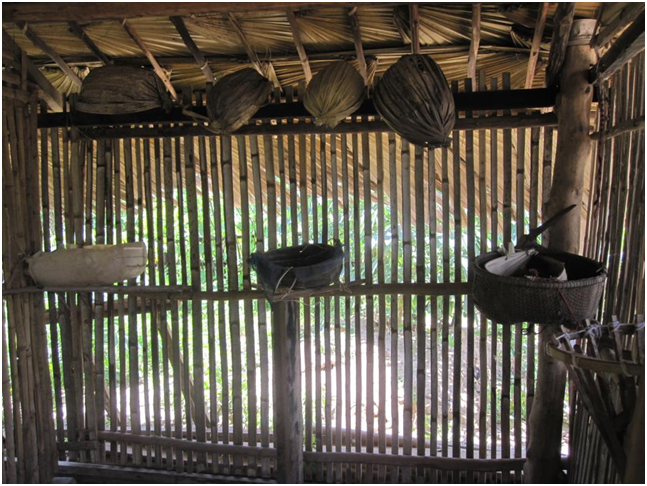 Over the last three years (from January 2011 to November 2013), with the funding from our Global Giving donors, CRDT has been working in Damrei Phong commune in providing the 21 CBOs’ members with sustainable livelihood supports. During the project period, 10 training courses were conducted (2 on pig raising, 2 on chicken raising, 2 on vegetable growing, 2 on saving, 1 on leadership, and 1 on small grant proposal writing). 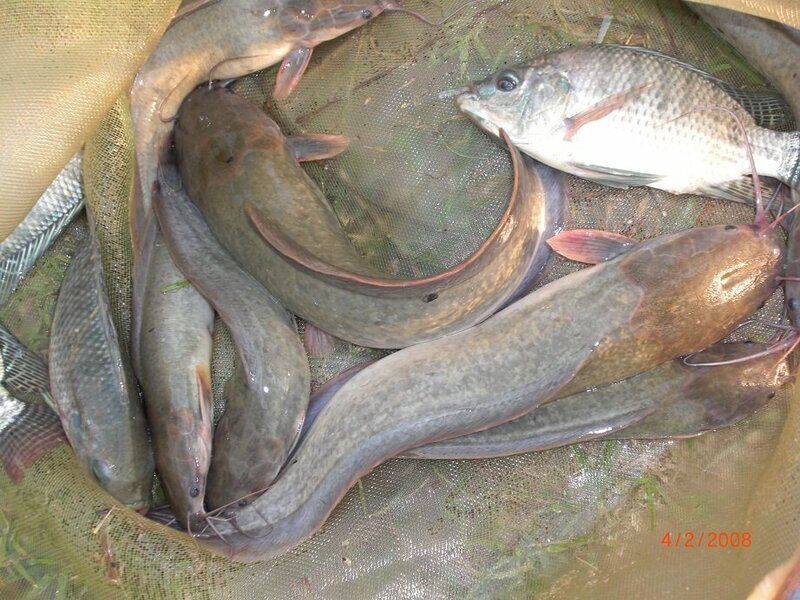 In addition, a total budget of 5,650 USD in the form of small grants was also provided to support the development of the livelihood activities of the 21 CBOs’ members. Through these capacity buildings and funding support, the 21 CBOs’ members took the first step toward self-reliance particularly in the area of household food security. Above all, the projects’ beneficiaries declared that the project has brought positive changes in their lives and in their commune especially on the three main aspects of improved family welfare, improved local empowerment, and improved gender equality. However, while most CBO members have improved their living standards with the activities and the surplus of their produces, some others are still struggling to reach their food security and to get out of poverty. 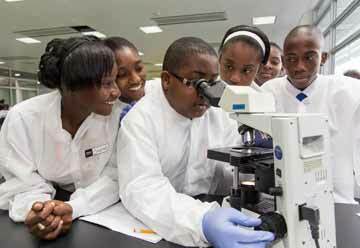 This is because their activities have unfortunately been affected by life hazards such as flooding, drought, and animal disease more frequently than the others. 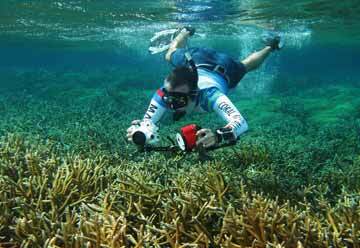 Nevertheless, they will not give up easily as they understood clearly about the benefit from the activities. Failures make them even stronger especially when they will be facing the same hazards next time. Through the project evaluation, we found out that some CBO members especially those who were challenged by the natural disasters in their livelihood activities still need further funding support in order for them to restart their activities. 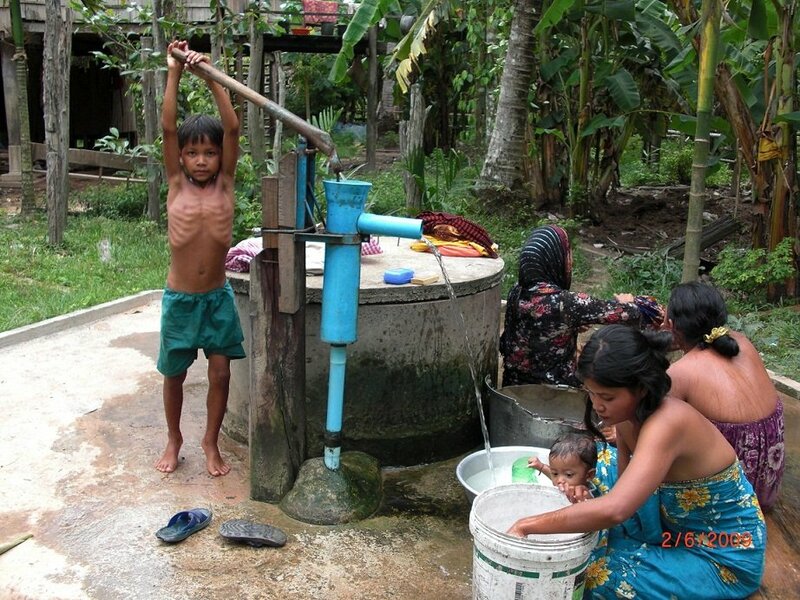 Thus, CRDT plans to use the remaining budget of 1,115 USD as revolving fund to support them. The idea of revolving fund is that all members will use the fund in rotation (in the form of loan with very low interest rate) over a specific period in order for them to restart their livelihood activities. One CRDT’s staff will continue to monitor and provide consultation to the CBO members in order to make sure that they could totally self-manage the revolving fund. So far, we are proud to report that the achievements of the project will continue to be sustainable over the long term. 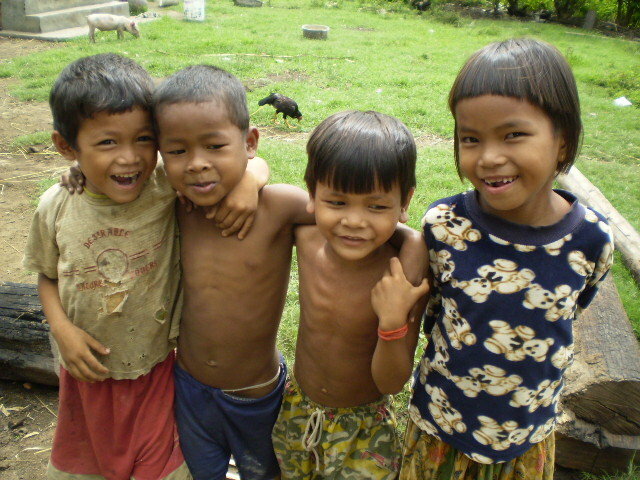 Thank you so much to our donors for their generosity with our Cambodian rural poor people. On behalf of all 21 CBOs’ members and CRDT, I wish you good luck, good health, and prosperity in your lives. 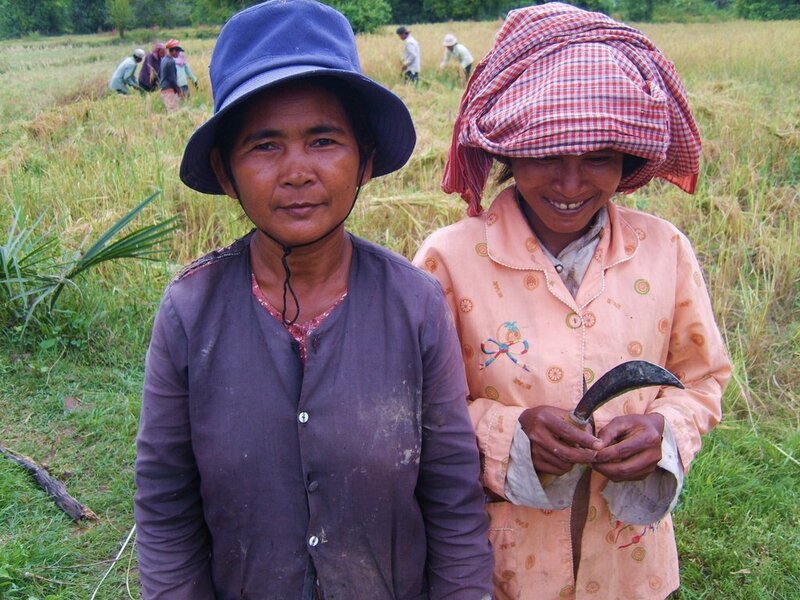 We look forward to seeing you supporting our next project again at Sustainable lives for 375 women in rural Cambodia . 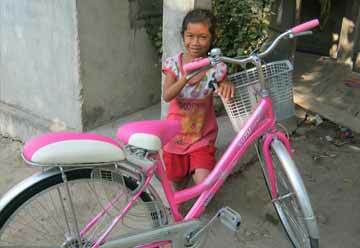 This progress report focuses on the family of Sophoeun and her livelihood activities as well as the improvements in her life. Nevertheless, it will also report on the challenges and possible solutions in her activities especially lately during the period of flooding in her village. 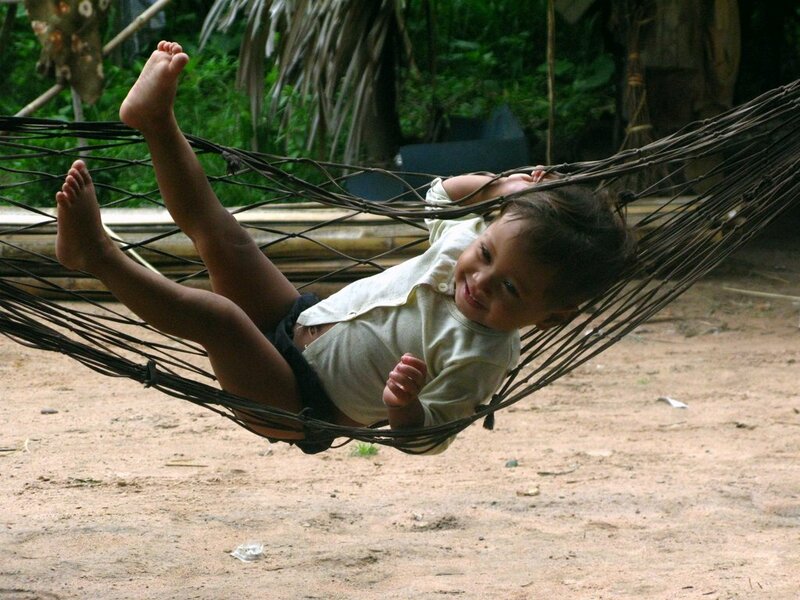 Sopheoun 39, lives in Treak village, in Kratie province. She is a farmer and the breadwinner of her family which consists of 7 members—her aged parents, two sisters, and two nephews aged 4 and 6. In her daily life with support from other members of the family, she grows rice, vegetables, raises pig and chicken to make the whole families’ living. Sopheoun has joined CRDT in late 2009. Her CBO group has 42 members, and they decided to follow the activities such as saving, chicken raising and pig raising. 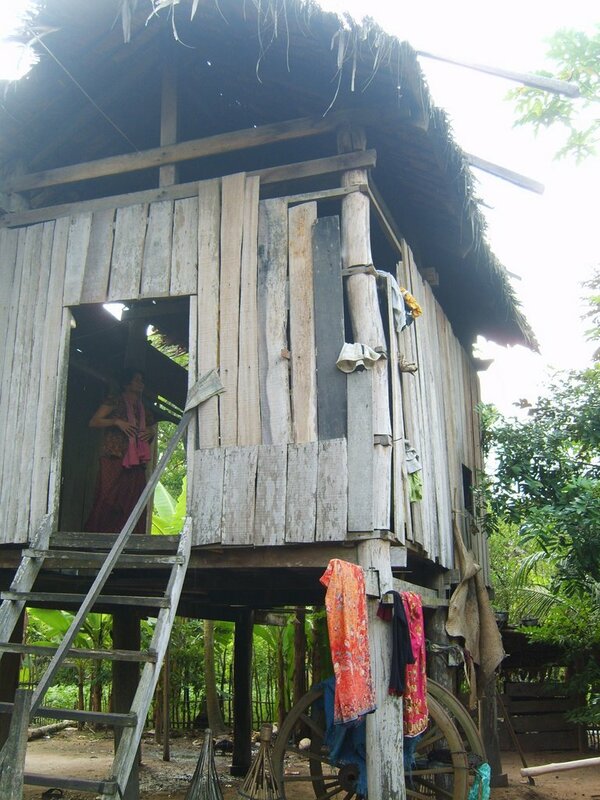 Since first established, the group was provided by CRDT with a small grant of about 2 000 000 riel (500 USD), 9 toilets, 21 rain water storages, 30 containers for vegetable watering, and 12 water containers for household use. Lately since 2012 with the funding support from the GlobalGiving, this CBO has been strengthened with a series of trainings including chicken raising, pig raising, rice growing, and vegetable gardening together with the provision of seeds to improve their livelihood. As for Sophoeun, she enjoyed the saving activity, chicken raising and vegetable growing. She was provided with 5 hens, 3 roosters, and some vegetable seeds for the start of her activities. She mentioned that after she started these activities her family’s living was improved. She said “Before, we rarely ate chicken because we couldn’t afford to buy chicken from the market. Now, we eat chicken often (at least once a week) from our own raising.” They also find it easier to collect vegetables from their garden while they could save money to buy other needed stuffs. 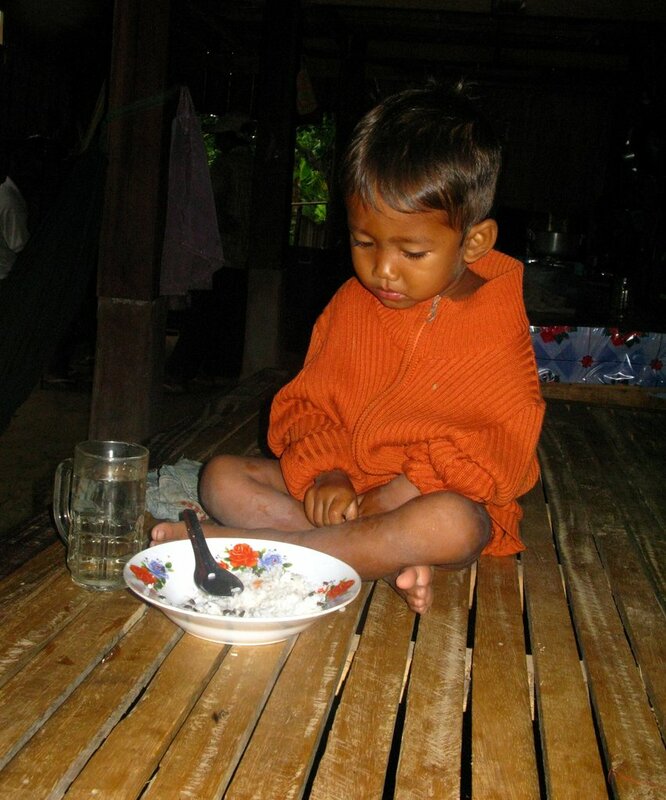 They feel that they are having nutritious food and healthier lives. Sophoeun even plans to expand her chicken raising so that she could have surplus to sell out in the market for additional income. Despite these improvements, Sophoeun is currently facing some challenges in her chicken raising. 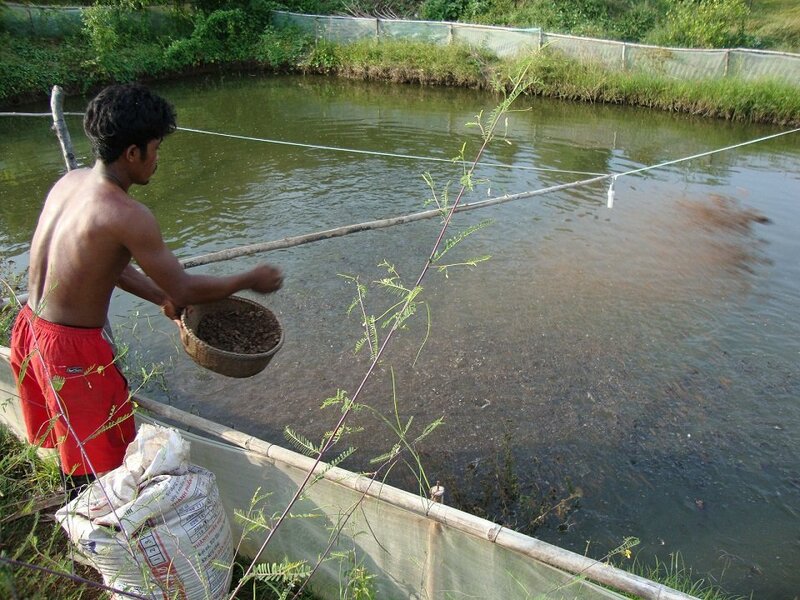 Due to floodwater surrounding the village in September, she could not find enough feed for chicken, thus she decided to free them so that they could find food by themselves nearby the house rather than keeping them in the pen like before. Unfortunately this led to baby chicks being frequently bitten to death by rats and cats, and some adult chickens got sick. She said that now she has less chicken than before, with only 3 hens left. She is worried that she could not continue to raise them all well like before. 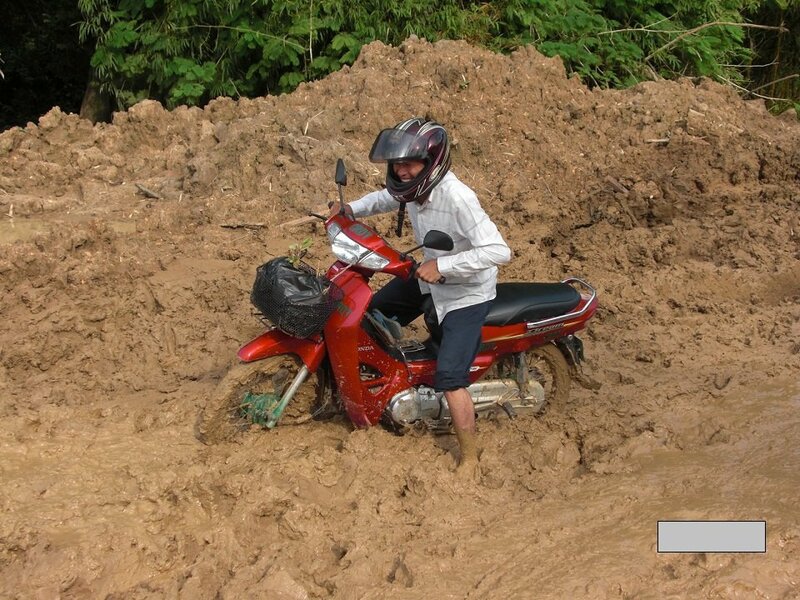 Above all, the flood destroyed about 30% of her 1 ha ricefield. Where there is GlobalGiving, there is hope for our beneficiaries! 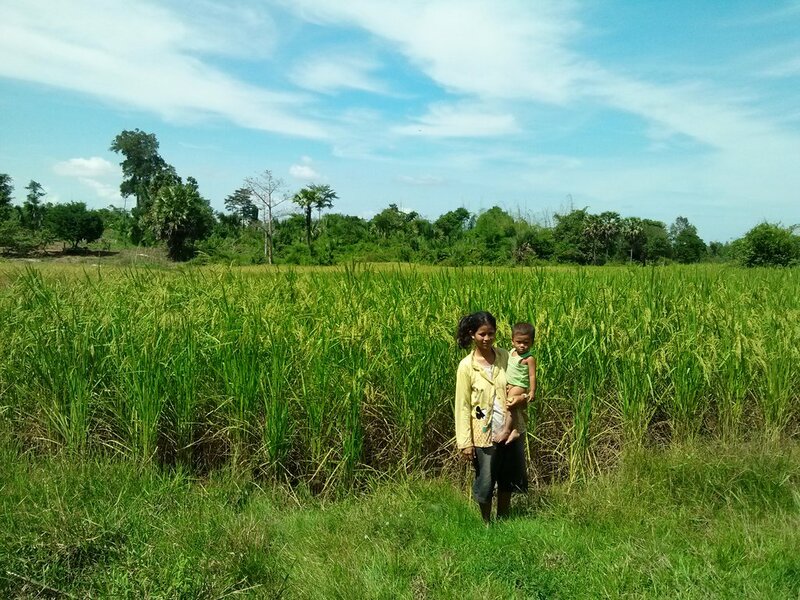 We would very much appreciate if you could make a donation for rice seed supply for 20 families in Treak village and even more families in nearby villages in Damrey Phong commune to re-grow rice for their own consumption this year. Regarding the new progress report, we decided to focus on the family of Ms. Sophat and show the improvements in her life. Mrs Sory Sophat, 53 years old live in Prey Kou village, Damrey Phong commune, Chhloung district, Kratie province, she has 5 children. Sophat is a farmer, growing rice, vegetables, cassava, and raising chickens to help her generate income. 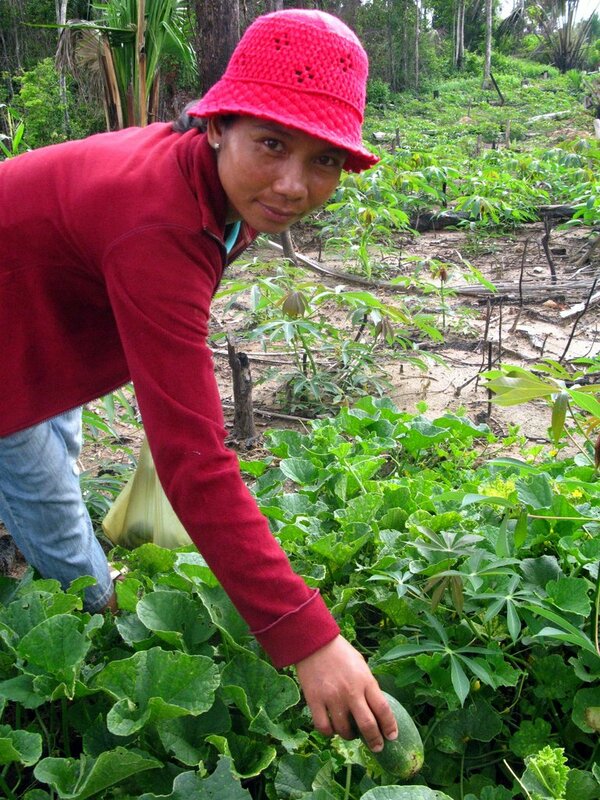 She has joined CRDT through community based organization since 2009 as part of the vegetable growing group. 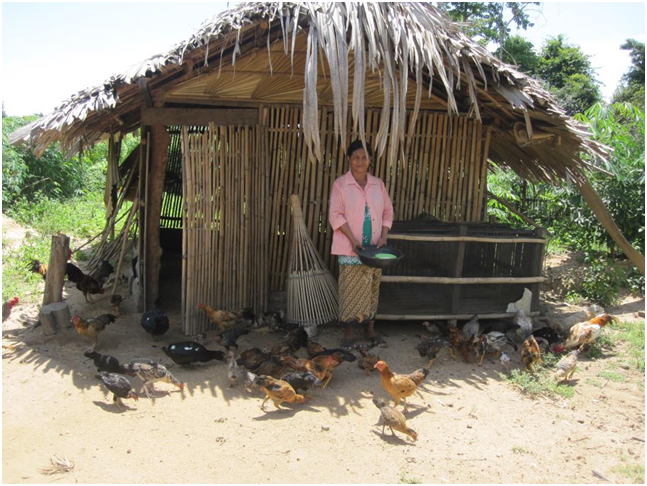 In January 2013 Mrs. Sory Sophat was selected to get small grant $400 USD for chicken raising activities. The grant was released in 3 steps, the first step provided her with $120USD for chicken pen construction and she has built chicken pen with 3m x 4m size. During the second step she got $196 USD for buying chick, hens, roosters, and chicken feeds. The third step will be realized as soon as CRDT raises enough funding on GlobalGiving. Before she had only 2 chickens, and currently she has 9 hens, 3 roosters she now has more than 50 chickens and she has sold 4 chickens and plan to sell more this year. She also still faced some difficulties related to the disease for her chickens raising, and CRDT plans to provide technical training on chicken raising to her. She said “I am very happy with the chicken raising activity that can complement my other livelihood activities, especially in my cassava plantation areas with these activities supported by my husband too, so it is easy for me to monitor and take care of it. 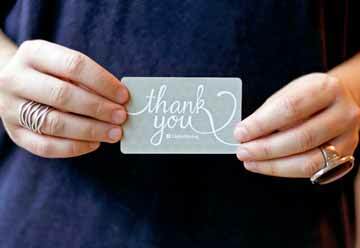 And I would very much like to thank CRDT and Global Giving donors who support funding through CRDT, wish all of you to be lucky and prosperous and wealthy”. 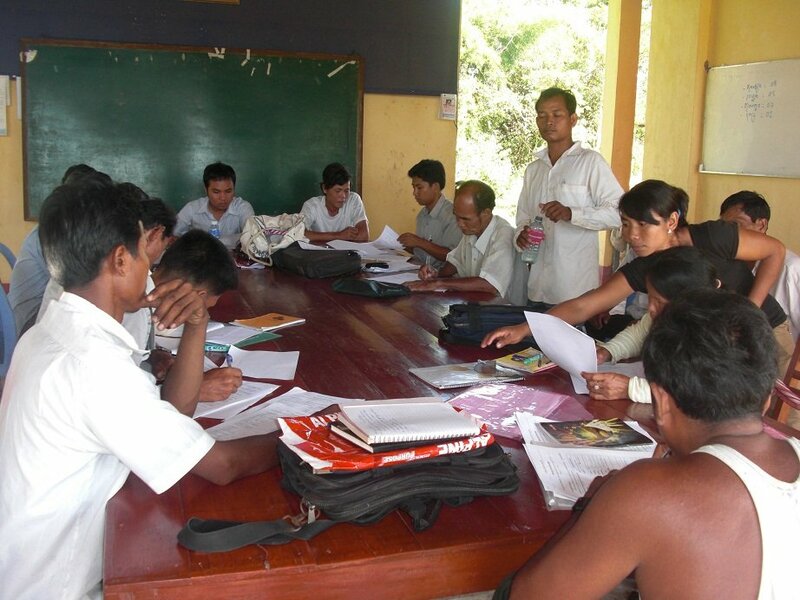 During the report period, the progresses focused on activities, problems, solutions, and achievements including chicken and pig raisings, vegetable growing, and saving component of Self Help Groups in eight villages, Damrey Pong commune, Chhaung district, Kratie province, Cambodia. There was no restructure for new groups in other villages to become Self Help Group as most group members had no available time to join the meetings. Chicken production in all groups of the eight villages was quite the same. Beneficiaries ate more chickens than sold them. On average they ate three chickens (about 4.5 kg of meat) per household per month. 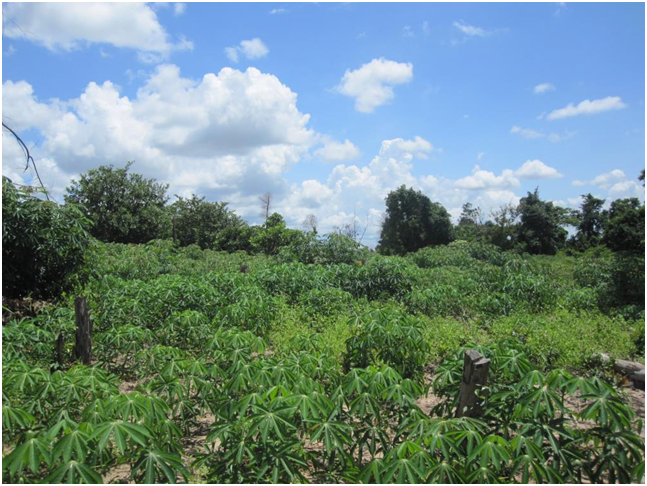 In Kroach village, no chicken fence made from cassava stem was constructed as most stems were damaged by the rain. 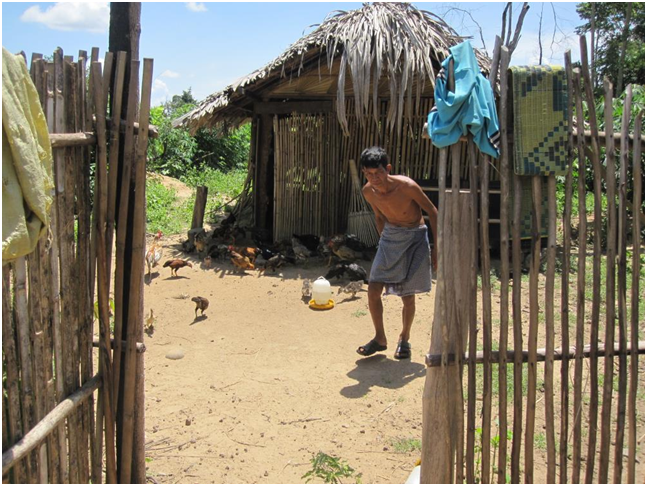 However, one beneficiary has completed his chicken fence made from cassava in Pre Kor village. 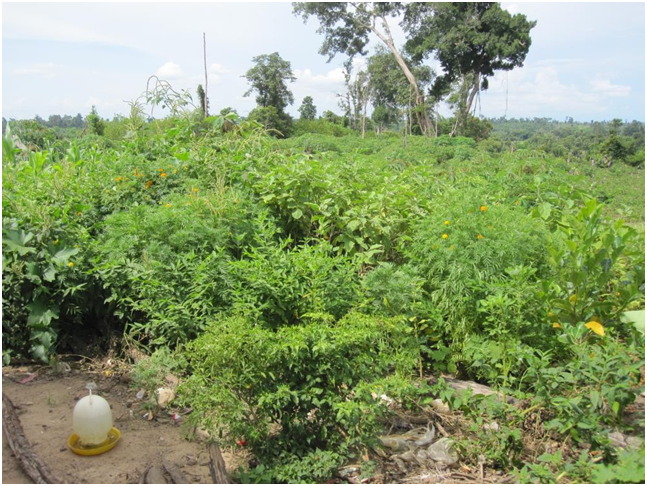 Currently the pig production of the SHG in Kroach village isn’t going quite well as the price of the pig meat is low on the local market and beneficiaries have difficulties to collect water from water sources which are far away from the village in the dry season. As a result four members (out of 10) sold their pigs. They then, considered improving chicken production as the chicken price is better as well as using less amount of water. Vegetable production was quite similar within all villages where beneficiaries grew vegetable for eating more than selling. 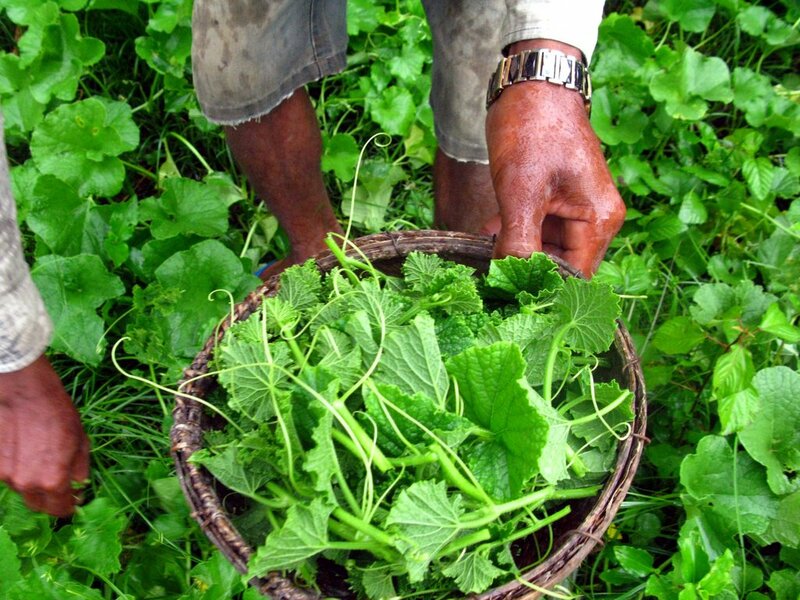 They grew four to five diversified vegetable varieties within an average 5mX10m land size. A widow grandmother, Yem Thon, 76 years old is living with her three grandchildren in Prey Kor village, they consumed 0.5 kg of vegetable per day. Moreover, she earned about 20,000 riels ($5) per month from selling vegetable. Saving components of groups in Kroach, Sre Treak, and Brahout villages have improved compared to groups in other five villages in terms of borrowing and paying loan back to the groups. 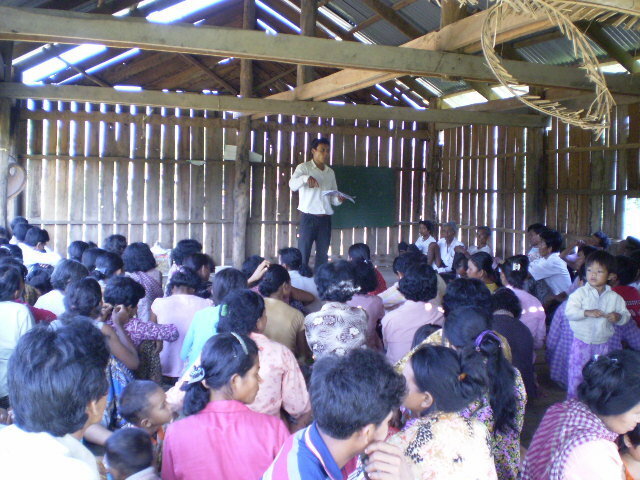 Groups’ members in Kroach, Sre Treak, and Brahout villages were 20, 40, and 26 respectively. Till now the total amount of money gathered of the groups in Kroach, Sre Treak, and Brahout villages has reached the amount of 815,000 Riels ($204), 4,470,300 Riels ($1,117), 1,700,000 Riels ($425) respectively. And the total amount of money borrowed by groups’ members was 647,000 Riels ($161,75), 3,113,600 Riels ($778,40), and 700,000 Riels ($175) respectively. 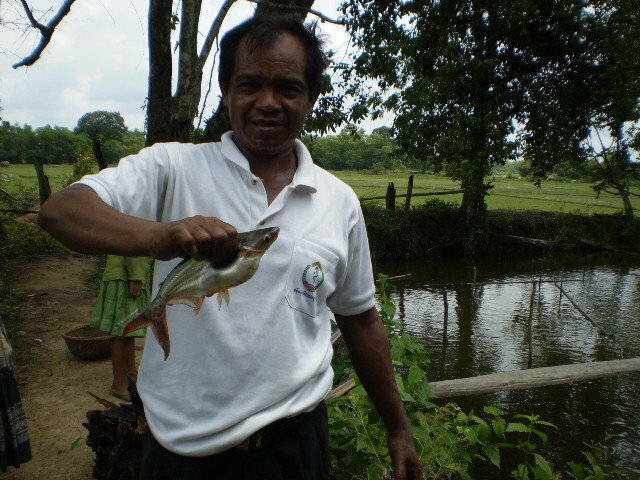 Groups’ members have mainly lent money for rice, cash crop, and livestock productions and sometimes on health care. 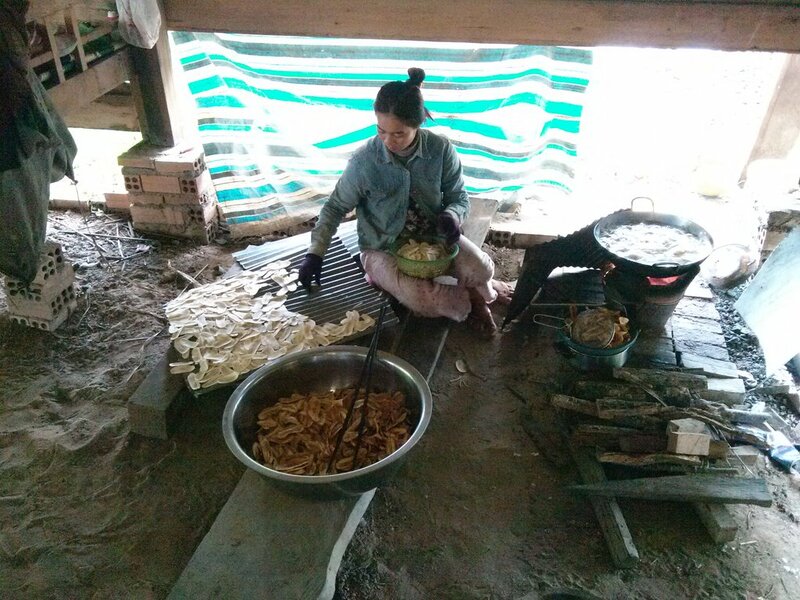 The report has focused on the progress of activities, problems, solutions, and achievements in terms of chicken and pig raisings, vegetable growing, and saving component of CBOs in eight villages, Damrey Pong commune, Chhaung district, Kratie province, Cambodia. In the last report there were needed improvements of all CBOs in all villages to have a better way of functioning. In response, in Brahout village, the Chicken group, Fish group, and Vegetable group were restructured to become only one Group with only three elected committee members and 23 members (in total 26 people, 12 women), called a Self Help Group. The committee members were Mr. Sun Sokchea, group coordinator, Mr. Thean Mao, group representative 1, and Mrs. Than Soklin, group representative 2. All new committee members have committed to work harder in order to improve the livelihood conditions for their members. All group members were happy to change from three groups to become only one which they expect to have better management and let them more time to do their work. According to the proposal of the new group, the project team has approved to release a USD 200 grant for supporting the saving component of this brand new group. 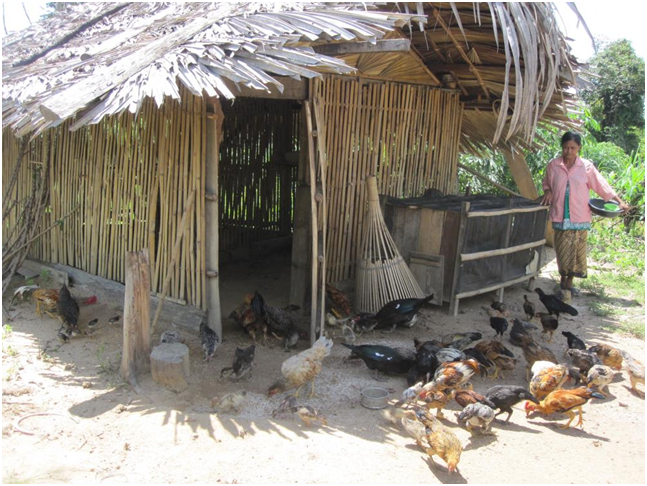 Chicken raising activities of the Self Help Group (SHG) in Kroach village were similar to the previous report in terms of delayed construction of fences around chicken houses as they have not yet finished harvesting cassava. However, on average 3 chickens were eaten per household per month and 2 chickens were sold per month. For one case, Mr. Teng Vanny, 50 years old, a group member of the SHG in Kroach village, said that his family ate 16 chickens and sold 11 chickens which allowed them to earn an amount of 198,000 riels ($49.5). Pig raising activities were going well with 10 households conducting the activity, but two other households decided not to raise pigs due to the lack of water for the pig production. In terms of vegetable growing, most of the households produced vegetables for their own consumption only. Chicken raising and vegetable growing group members in other villages were quite similar to Kroch village. However, few members could have a vegetable production not only for their own consumption but also for earning a surplus income. 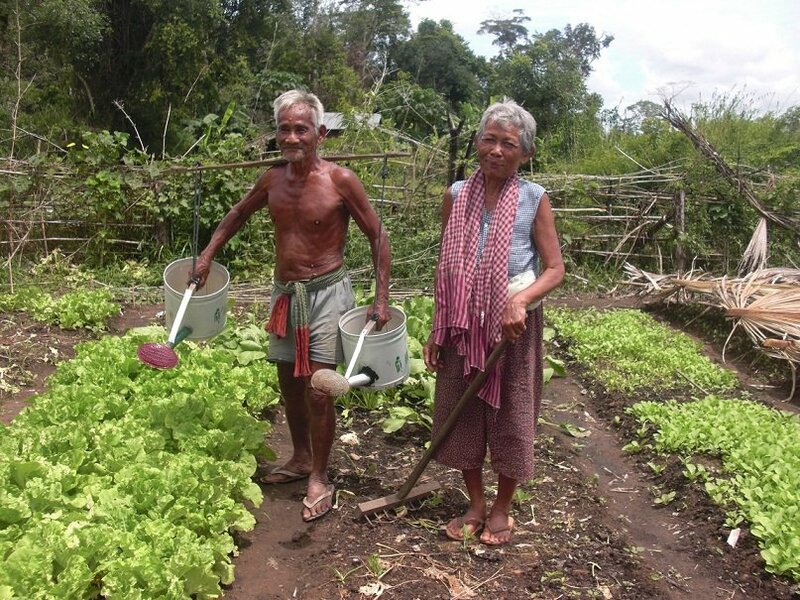 As a good example, Mrs. Soy Sophat produced vegetables to support her four family’s members with 15 kg per month and at the same time she earned an income of 100,000 Riels per month. Through following up the chicken and pig raising activities of group members, it was decided that the improvements needed are mainly on feeding and vaccination. 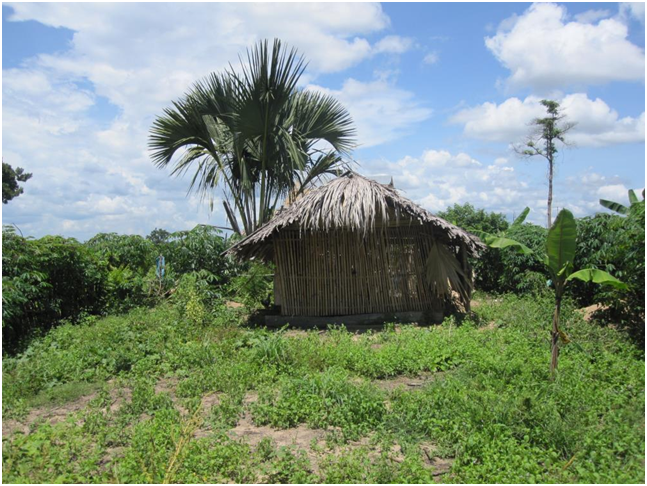 The saving components of the Kroach village group showed that the group is doing much better in terms of making loans and repaying them back than other groups in other villages. So restructuring small groups to become SHGs was the right solution and will be needed to be done in other villages.